Starting At $27.99 per sf, Granite Countertops Chicago Il , De Paula Marques Superb Stone. Granite Color Choices Starting @ $29.99/Square Foot *Price reflects Estimate, ANY edge choice PLUS INSTALLATION! SPECIAL OFFER Ouro Brazil Granite @ $27.99/Square Foot INSTALLATION INCLUDED PLUS YOUR CHOICE OF A FREE SINK! Special Offer on Remnants! Call for details.Choose from our selection of Remnant Granite and Marble. 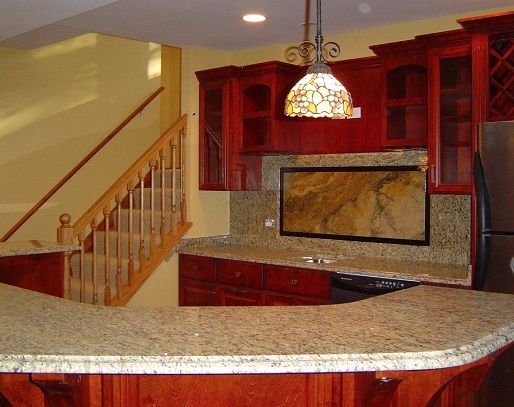 At De Paula Marques Superb Stone, We Deliver the Lowest Overall Cost for High Quality Custom Granite Countertops, and more with the Highest Quality in Chicago Il. We provide homeowners, contractors, architects, remodelers and designers a large choice of custom fabricated stone slabs for residential or commercial use. We specialize in indoor/outdoor kitchen countertops, bathroom vanity tops, fireplace & jacuzzi surrounds, and bar tops amongst more! Our staff of experienced, professional and knowledgeable stone experts help you select products, estimate costs, work with you on design ideas and follow through with personalized project management. Located in Elk Grove Village but servicing the entire Chicago land area! Our mission is to create quality stone work perfectly suited to your lifestyle by offering finely crafted granite & marble products, coupled with great attention to detail and excellence service. Call first for an appointment to ensure you receive the attention you deserve. Mt. Prospect | Morton Grove | Hoffman Estates | Park Ridge | Wood Dale | Bensenville | Palatine | Northbrook | Evanston | Bloomingdale | Addison | Roselle | Hanover Park | Norridge | Itasca | Lombard | West Chicago | Lisle | Wheaton | Glen Ellyn | Naperville | Downers Grove | Aurora | Willowbrook | Carol Stream | Wheeling | Buffalo Grove | Deerfield | Highland Park | Chicago | Elmwood Park | Bartlett.